After buying my first DSLR while living in China I became hooked on photography spending every spare minute looking up different techniques, researching lenses and of course wandering the streets taking photos of everything and anything. The timing was perfect when 6 months later I realised a childhood dream and travelled to New Zealand for a holiday. It’s natural beauty exceeded my expectations and with 3000 photos taken in just six weeks. It is a photographers dream. Well, I’d say you’re a grade A+ student then because your images are amazing! I just browsed your blog and was amazed with your work! I’ll be looking forward to more of your work! Cool, thank you so much and for the comment. I will endeavour to keep up the standard I’ve set and hopefully improve. Amazing photography! Thank you for sharing it with the world! I’m glad you think so and it’s my pleasure. Thanks for commenting. WOW Thanks for finding my blog so I found you. Beautiful photographs. I don’t know how to make HD images. I’m really a painter and book artist but there is still a pull towards photography. You don’t need it but have you checked out BetterPhoto..com? I took online courses from them and learned about photography there. Thank you. I am just learning photography as I go but think a few courses may be worthwhile especially on the processing side. I will definitely investigate BetterPhoto, there’s always something more to learn with photography. I just have to say, wow! I love your photography. It is gorgeous. Please keep snapping away! It’s a pleasure your words are very powerful. Thanks for the compliment :), I’m learning as I go but enjoying every minute of it and will definitely keep snapping away. Incredible. Pleased you enjoyed shooting in New Zealand! 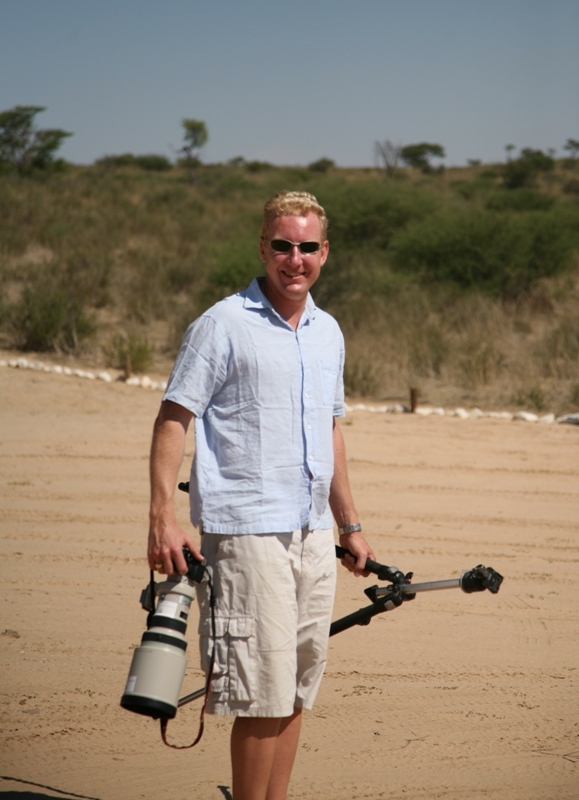 I look forward to shooting elsewhere – like Africa! Your up close shots are mind blowing, they really grab the viewer. What talent. Keep it up. Thanks you. I found New Zealand magical and would love to visit again someday but it does lack the wildlife we have here in Africa which is my current favourite type of photography. I really appreciate you compliment and will endeavour to keep posting great photos. Stunning pictures, i look forward for more from you. Thanks, many more to come. Have just returned from 5 days in the Kgalagadi Transfrontier Park so as soon as I’ve sifted through the thousands of photos I’ll upload the best here. Wow…if you are at the beginning…I’m in the dirt pile, in the cellar, under the floorboards, in the barn! Inspiring! Definite ‘following’ fan! 🙂 Thank you so much for that comment Rhonda. You are very welcome Rory. It so great when you can take a hobby that ignites a passion and turn it into a lifestyle that makes the rest of us want to be like you! Great work. Wow, awesome. Thanks for the support Rhonda. We so often get caught of with life that time seems to just pass us by. I hadn’t thought about what I was doing like that and so thank you for pointing it out and glad I can be an inspiration. Hi! Thanks for stopping by and for liking the blog. I am amazed at the photos you are sharing on your blog! My husband and I have also taken interest in photography since we both started traveling (we both love to travel). I always look for that special “something” in a photo and I see it in yours. Thanks for sharing your talent. I will surely learn a lot just by looking at your photos. All the best! Pleasure and likewise thanks for liking my blog. It’s great to hear such positive feedback and find other people who share a love for travel and photography. Sherry from Fabulous 50’s was right ~ you are an amazing photographer! I just bought my first DSLR… Yippee!!! Thank you so much, too kind. Enjoy your first DSLR, I promise you’ll never look back and this is the standard of shots you will now be able to take! Nice photos….living in SA with all that wildlife I guess getting a 400mm lens was a no brainer!! Thanks for stopping by and commenting. The 400mm is indeed an awesome lens, particularly for wildlife! Not as often as you may think and it is always nice to hear so Thank You ! Thanks for the look in at my blog, I’ve just been through the whole of yours and all I can say is WOW, I still need a lot to learn and with my small camera a lot of lessons, your photos are just out of this world…. Thanks for liking my post Manhattan. Thank you for coming over to my little blog to check out my photos. It gave me a chance to see your stunningly beautiful works! Good luck with it all, I look forward to seeing more. Thank you so much, it’s always great to hear positive feedback. Your photography is amazing. Crisp & clear. And then I linked to your China blog. I suppose that’s how your found my blog — through my recent posts about being in China. I will be working in the Shandong Province beginning next week, doing professional development for teachers. I agree with you: This country is interesting, fascinating, and at times frightening. Thank you so much, it’s great to get feedback and such positive feedback at that. Yes I found you through the China connection, I miss it from time to time and can’t wait to go back and visit. I’m so glad I found your blog. What great pictures. Will follow you through the world of words. Thank you. Likewise will be following you as my grandfather was from Sweden and I can’t wait to visit it someday. I love reading about how other photographers first fell in love with the craft. I hope you take the leap one day and make it a profession if that’s really something you’re serious about! Thanks so much for the comment. I do indeed want to make it a profession and hopefully I’ll be ready to take the leap soon. Thanks Chloe but I’m not entirely sure what/which picture you’re referring to. Let me know and I’d be happy to answer your question. You have some really beautiful photographs! It’s just too bad you’re not a Nikon user :p Besides the blogging, I’m an aspiring photographer as well. Keep watch of my blog for photos in the up coming months! Awesome thanks, just been in the states for 3 weeks so haven’t updated much but more coming soon, busy processing images now. That might be another Rory, however I did study Political Science along with Philosophy and Economics. I was born in Zimbabwe where I lived until 2002. South America is still one place I haven’t visited but want to. Interesting, thanks for pointing that out. Think it must be a FB error. It may have automatically assigned the St George’s College with the biggest following to my profile but I have amended it now. Happy memories are good memories. Hi Rory, I am Muhammads from Indonesia. I found your blog by coincidence and it is amazing ! . . . . I follow yours to get something that I can learn from your shoots. 🙂 Thank you. Hi there, thank you so much for the compliment. I have also had a look at some of your photos and the butterfly shots are very nice. I hope you do learn something from my shots as I’m sure I will from yours and keep shooting. Thank you Rory, you light up my spirit of learning photography more intensively. Your work is fantastic Rory, and I can very much relate to many of the comments you’ve made above! Looking forward to seeing more. Thanks so much David, I’ve had a look at yours too, some fantastic bird shots. I will be following your blog. And where have posted those NZ pics hey Rory?! Which archive? Thanks for getting in touch Elizabeth, by all means I have sent you an email with my details.